Female room share *** We are owners of a few units. Bed available from 6 and 13 May, $135/week/bed. Please let me know your moving day and i'll send more info/photos for suitable option*** *** Please include your email address in your msg, as I do not have an early bird access *** - Females only - Rent: $135/week/bed (bills included) - Share a big apartment with 3 girls. Not a private bedroom. - All bills included, plus free Wi-Fi internet - Any term (long or short). No minimum to stay, just a 2 weeks notice before you leave. 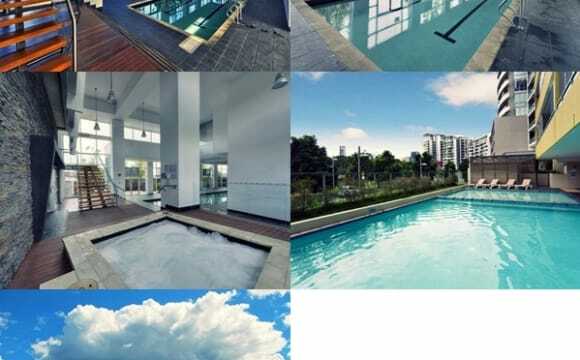 - Rooftop swimming pool, BBQ, gym and entertainment area. Include air-con, city view, laundry and dryer. Fully furnished Private room with own bathroom in Brisbane City available for just $275/week including all bills. No couples please. If someone is looking for very clean, peaceful and room to their own with absolute privacy and close to all amenities then stop looking any further. 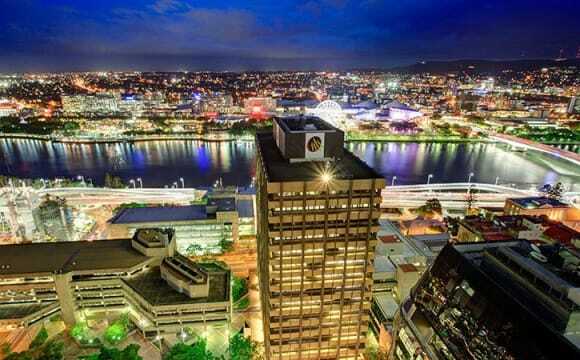 I have great room in Brisbane city in an amazing river facing apartment to offer for rent. Rent is $275/week which includes all bills. 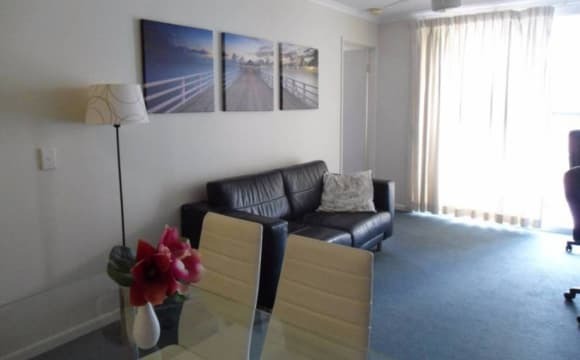 •	Apartment is in secured complex with Facilities includes Gym, Sauna, Spa, Swimming pool and BBq •	Plenty of free street parking available in front of the building plus covered visitors car park as well where you can park. 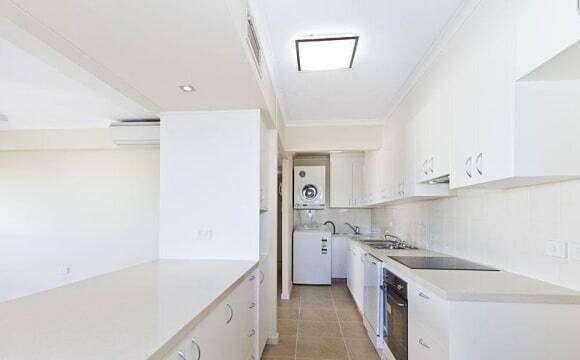 •	Fully furnished – bed, table, chair, TV, washing machine, AC in the living room etc •	Queen bed •	Built – in wardrobe •	Separate bathroom •	Super fast NBN internet •	5 minute walk to bus station •	2 minute drive to the city •	All bills included – electricity, water, internet This room suits ideally any students or working people. You will be sharing the apartment with just one other person (me), I am a full time working professional and have a very busy schedule. Use of common facility and area should be in a respectful manner. Any questions or to arrange an inspection don't hesitate to contact me and leave a little information about yourself. Two beds available in a twin room. For friends (female) $175 per person Close to the city, very clean and tidy. The rent include all bills and unlimited internet, cleaning once a week in common areas and bathroom. Swimming pool, sauna, gym and Bbq zone. 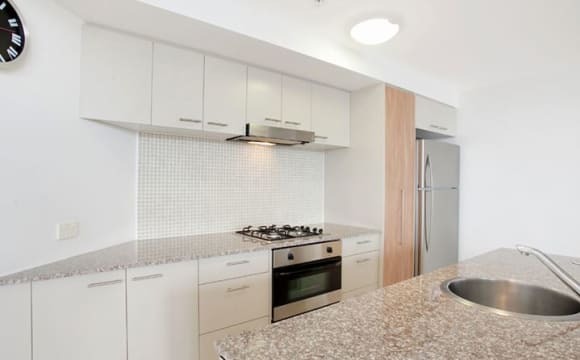 Luxury apartment, walking distance to Queen St Mall and Chinatown. Opposite the Marriott Hotel. 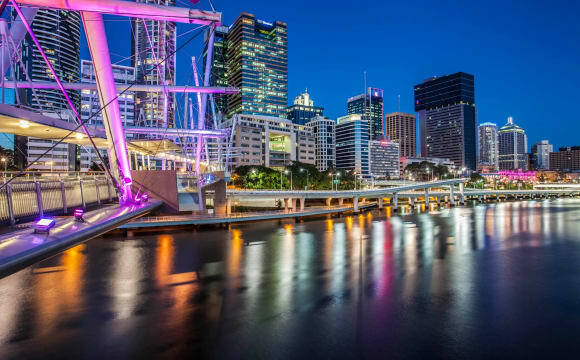 Stunning Brisbane River, Story Bridge, and City views. Fully furnished Queen-sized room with large wardrobe and private bathroom. $380 per week for a single person, with private occupancy of the whole room. $420 per week for two people/couple sharing the room - $210/week per person. Master bedroom with ensuite bathroom and private "Juliet" balcony. $400/week for a single person. $450/week for two people/couple. Rent includes electricity, gas, water, and unlimited fibre optic (&gt;80 mb/sec) internet. No more to pay! Please enquire about short-term rates. Secure car space can also be arranged for an extra weekly charge. 24/7 access to lock-up garage via remote control. Main bathroom includes shower over spa bath; Kitchen features stone bench tops, stainless steel appliances including gas cooktop, SMEG oven, fridge &amp; microwave; Separate laundry complete with washing machine and dryer; Ducted air-conditioning throughout; Building Features: Secure swipe card access to apartment level, entry foyer, lifts; Fully-equipped gymnasium; Large indoor heated pool; Change rooms and showers; Sauna. Sauna Gym 55" Samsung LED/LCD Smart TV Spa Bath High-speed fibre optic wifi in all rooms Bus stop 33, your ticket to ride!!!! 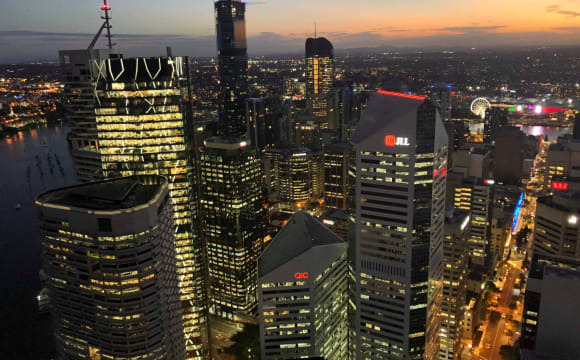 From around the corner on Adelaide Street, you can catch a bus directly to Griffith University (Route 125), the University of Queensland, St Lucia (Route 192), Southbank (Route 116), Sunnybank (Route 124), or your local bank. On average, a bus leaves Bus stop 33 every minute of the day ( between 5.30 am and 11.30 pm Monday – Friday). Right in the centre of Brisbane City. Onsite Gym, BBQ area, Cinema room, laundry facilities, free unlimited wifi and all bills included in weekly rent. 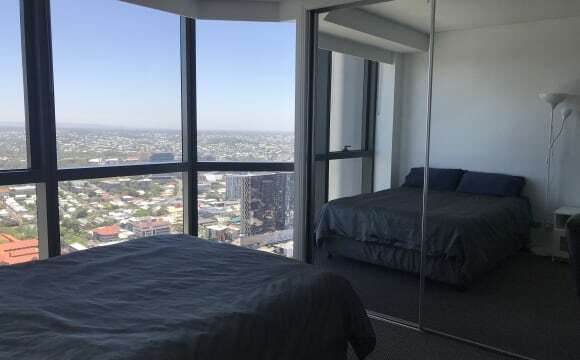 Master Room (En-suite) – Meriton Apartments Available is a lockable master room with an en-suite and beautiful views in a Fully Furnished 3-bedroom 2-bathroom apartment beside the riverside. Apartment Includes: • Unlimited Ultra-Fast NBN Internet (100Mb Download Speed) &amp; Ultra-Fast Wi-Fi • Fully-Furnished with new and near-new furniture • All kitchen products required • Regular cleaning of common areas • Air-conditioning • Only 3-4 people living in Apartment Your PRIVATE ROOM includes: • Lockable Bedroom Door • Queen bed with Sheets/Pillow/Quilt • Study desk with lockable draw, chair, desk light • Bedside Table • Floor Lamp • Extra Large Built-in Wardrobe • Your own private bathroom with both a Shower and Bath • Great views of the Mount Cootha and some of the river Building includes (all free to use): • Heated Pool • Spa • Sauna • Gym Prefer quiet and clean person who will respect the apartment Students or Professionals are preferred $330 (1 person) or $360 (2 people) including Unlimited Internet and all Bills Few minutes’ walk to Woolworths Few minutes’ walk to Bus, Train and Citycat Few minutes’ walk to China town and Queen Street Mall 🔥AVAILABLE FROM 23 APRIL 2019!!!!!! 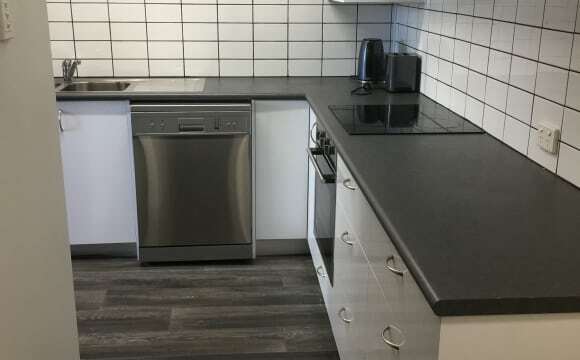 Room FOR GIRL Two beds availables - Share room AVAILABLE FEBRUARY 23 Address: 460 ann street Brisbane City All the bills incluided (internet, electricity, water) Share room (2 persons per room) Useful location. Behind the build there is a big shopping (Woolworts), just acrossing the street. The apartment is clean and organice. Thare are some rules about to keep clean the apartment. The build have access to a Jacussi and Gym. 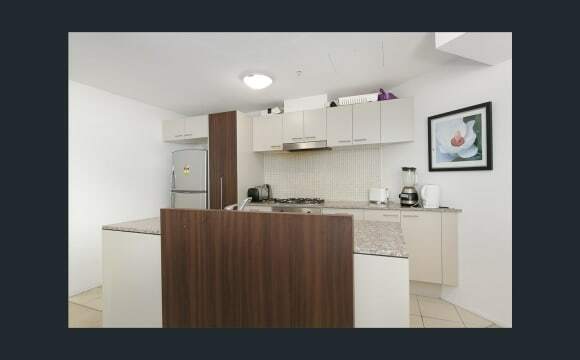 The best things about this flat is its location in a very good place of springfill, just 10 minutes walking to the city and 10 minutes walking to Fortitude Valley. The apartment have 3 rooms and two bathrooms. The manger provide free al the items to cleaning. 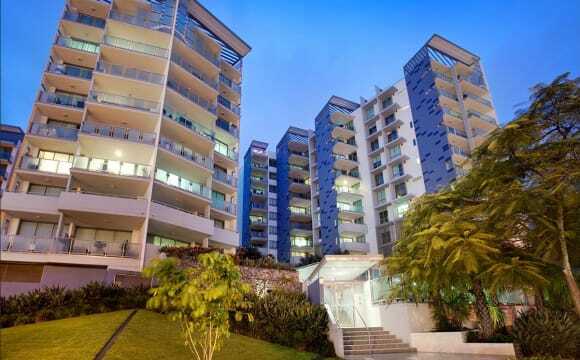 unit is 3 bed rooms, 2 bath rooms and fully furnitured and located in CBD. It is fact that you live in the heart of city so you can reach everywhere you want to go like supermarket, park, school, nice restaurants and cafe just on foot. you would better check out Google Maps(address 204 Alice street)^^ unlimited internet, laundry powder, toilet paper, electricity are include in bill($310 a week/ a person $155) This room is available for 2 persons so we are welcome a couple:) If you have any further questions like more pictures or arranging inspection, please text me ! 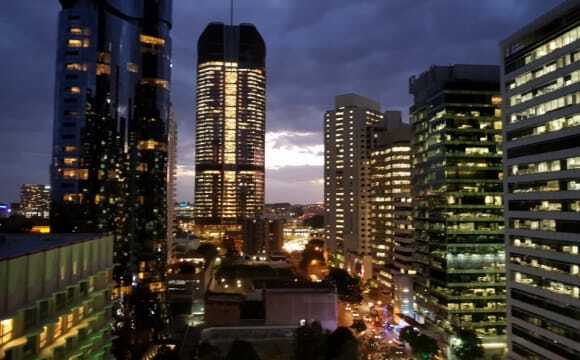 For single/couple - brisbane cbd The apartment is located on Queen Street and is called Aurora Tower which is a very clean and relatively new building. One spacious bedroom is available. Large open plan kitchen and living/dining Large panoramic balcony Floor to ceiling glass throughout. Sun-drenched &amp; light filled bedrooms &amp; living areas Security intercom and swipe access Great facilities including 25 metre lap pool, gym &amp; sauna. Entertainment Cinema &amp; BBQ areas. Queen Bed, Large Wardrobe a young australian couple will be sharing the apartment with you. 300/ week for single - $20/week added if bills to be included 330/ week for couples - $40/week added if bills to be included. Bond is 2 weeks rent To leave, 2 weeks notice is required. 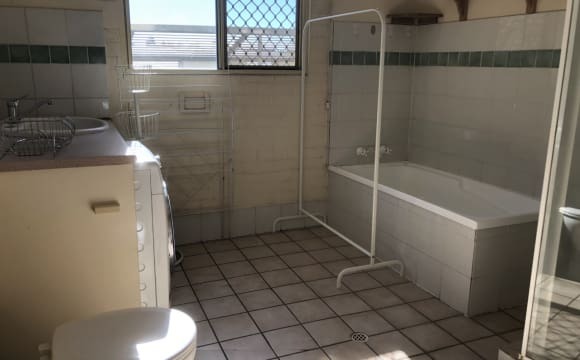 Single bed 🛌 in Shareroom (threw Girls room) AVAILABLE APHRIL 27 Address: 460 ann street, Spring Hill Brisbane. Rent: 140 Bond: 280 All the bills inlcuided (internet, electricy, water) Useful location. Behind the build there is a big shopping (Woolworts), just acrossing the street. The apartment is clean and organice. Thare are some rules about to keep clean the apartment. The build have access to a Jacussi and Gym. 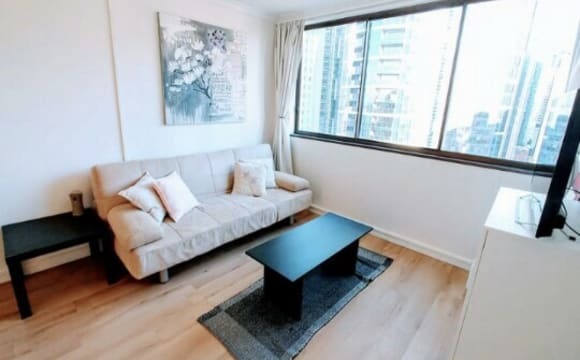 The best things about this flat is its location in a very good place of springfill, just 10 minutes walking to the city and 10 minutes walking to Fortitude Valley. Before you move out please give an advice 2 weeks before move out to get the bond back. The manager provide all the items for cleaning free. Hey ladies, I have a great apartment in the heart of Brisbane city just opposite of Botanic Garden and QUT. It is 5 minutes walking from Queen st. 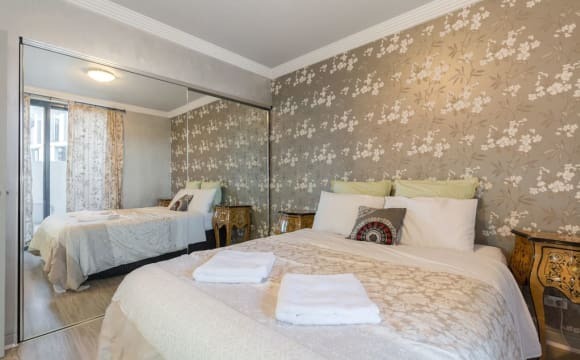 The room is available on 28 of April, for one girl to share the room with a French girl . Bond is 300 rent 165 The only bill apart is electricity it comes monthly. Internet, water and gas are included in the rent. Thanks Have a great day Good luck!!!! !